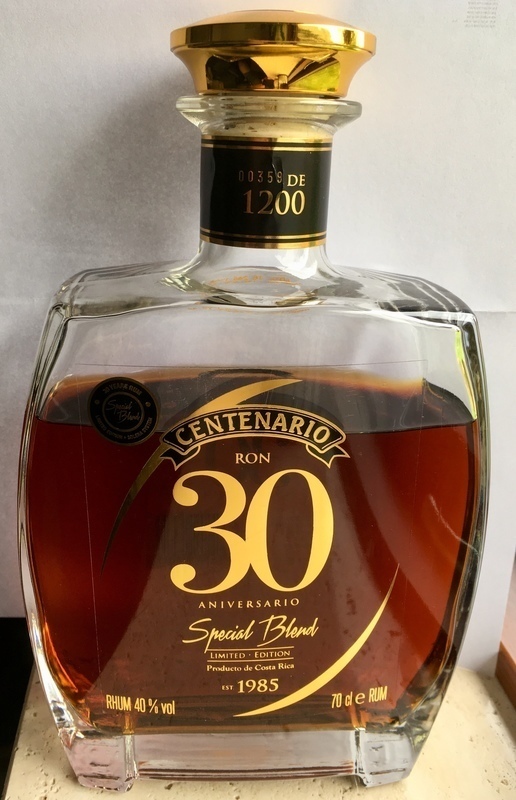 Have you found an online vendor selling Ron Centenario 30-Year Special Blend? I really love the Ron Centenario Rums. This is another great offering from them. I tasted this side by side with the Ron Centenario 30-Year, and I slightly prefer that one. The Centenario 30-Year, while not as sweet as the Centenario 25 and 20, is still a bit sweeter than this one, and that's why I like that one more. This seems to have a bit more oak aging, probably aged in whiskey barrels. It's the least sweet of the Centenario's I've tried. Smells and tastes of caramel, molasses, oak, whiskey, and vanilla. A great rum, though I recommend the regular 30-year to this, unless you prefer (whiskey?) barrel aging. Edit: I recently tried the Centenario Real, and THAT'S the best rum I've ever tried!!! It also has some whisky aging, but it's just a light touch, and it's also a bit sweeter than this. That's an AMAZING rum! Aftertaste is long and very tasty. Very nice bottel one of my best and deserves a 10 from me. This is by far the best rum you will taste without going over $200. The smoothness of this rum along with its thick molasses like flavor makes this one a favorite. This is stratosphere kind of rum. Absolutely delicious! Enjoyed a glass of Ron Centenario 30y Special Blend at the La Bodequita de Medio San Jose while vacationing in Costa Rica. Oval bottle design is very nice and high end. Deep amber color. The initial flavor is very nice and complex, but the taste turns into much stronger whisky like compared to the regular Ron Centenario 30y. Very mild burn at the end. For whisky lovers, add 2 points. Great balance between sweetness and oak, the after taste goes slightly into plumes. Thoroughly enjoyed it the aroma is slightly sweet the taste smooth with a nice finish.